New race announcement? Yeah, whatever. When you've been sitting in the same seat as I have for the past decade, I'll be absolutely honest with you, it's pretty difficult to get too excited about another race hitting the calendar. I've seen so many, they blur into one. But, every now and then, something arrives and you instantly think "YES, that makes sense". 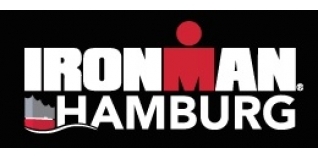 So, when I got a 'priority entry for IRONMAN Hamburg' email arrive, my first thought was... Hamburg? I didn't even know there was an IRONMAN in Hamburg?! There wasn't. Thankfully, about sixty seconds later the race announcement (reproduced below) arrived. Hamburg has long been one of the jewels in the crown of the ITU World Triathlon Series (a race which is now owned by IRONMAN), and having spent some time many years ago working in Hamburg, I know that the area where this race is based is fantastic. It hasn't even happened yet - but, if they get it right, this will become one of the iconic races of Europe alongside Klagenfurt, Kalmar and Roth. Race date is 13th August 2017. I expect it to be stunningly popular. IRONMAN, a Wanda Sports Holding company, announced today the addition of Hamburg, Germany to its IRONMAN® event schedule for 2017. While Hamburg’s port has been considered a gateway to the world for centuries, the Hanseatic metropolis is now setting sails to become part of triathlon history by hosting the IRONMAN® Hamburg triathlon on August 13, 2017. The provisional course of IRONMAN Hamburg includes the Jungfernstieg pier in the very heart of the city as the start point of the 3.8 km swim course, which goes through the Binnen and Außenalster lakes. The two-loop 180.2 km bike course leads athletes through Harbour City and across the famous “Köhlbrandbrücke” bridge and the southern metropolitan area of ​​Hamburg. The final 42.2 km run course consists of four loops along the Alter Lake in the city center. The Town Hall market square will feature great spectator support as the home of the iconic finish line. "We are very pleased to host another world-class endurance sports event in Hamburg,” said Hamburg´s Sports Senator Andy Grote at a press conference today. “IRONMAN Hamburg will complement the other event offerings and is a terrific addition to our calendar. IRONMAN suits Hamburg and Hamburg suits IRONMAN." Numerous parks, meadows and forests make Hamburg one of Europe’s greenest major cities. These vast public green spaces combined with Hamburg’s urban architecture creates a very attractive metropolis with a high quality of life. Christian Toetzke, Chief Development Officer for IRONMAN and Managing Director for IRONMAN Germany, added: "Hamburg has established itself with its sports enthusiasm over three decades as an important location with high demand for endurance sports events, especially triathlon. It was strategically important to place another top event in this area." "We will use the upcoming months to turn the preliminary course into an attractive event for all parties involved: our athletes, their families and fans, as well as the citizens of Hamburg,” adds Björn Steinmetz, Managing Director of IRONMAN Germany, responsible for the operational implementation of the event. Swimming in the Alster lake, cycling through the Harbour City and running along the green shore of the Alster lake with a finish at the famous town hall market – the city of Hamburg will offer a unique and unforgettable race experience for all athletes. As one of the big urban triathlon cities, Hamburg is poised to welcome 2.500 athletes and thousands of spectators on August 13, 2017 for another high-class triathlon event. IRONMAN Hamburg will offer 40 qualifying slots to the 2017 IRONMAN World Championship taking place in Kailua-Kona, Hawai`i. General registration for IRONMAN Hamburg will open on September 23, 2016 at: www.ironman.com/hamburg. Athlete inquiries may be directed to hamburg@ironman.com.